Members of The Blackout pose for a picture after winning the College Television Award in the Variety category. The award ceremony took place Saturday in Los Angeles. For movies, there’s the Oscars. For theater, there’s the Tony Awards. And for college television, one of the most prestigious honors is the College Television Awards. The Blackout, Northwestern’s student-run late-night comedy show, took home its first College Television Award on Saturday for its “Quarter Update” segment filmed Spring Quarter last year. The 10 NU students and alums nominated for the segment made the trek to Los Angeles for the weekend, where they participated in networking sessions and panel events with top executives and talent in the industry. On Friday, The Blackout members also attended a taping of “America’s Got Talent,” where they spoke with head producers and celebrity judges Howie Mandel, Simon Cowell and Gabrielle Union, said Communication senior Jake Daniels, a head writer for The Blackout last year. The weekend culminated in the 39th College Television Awards ceremony, where The Blackout was named the winner in the Variety category. The NU group beat out fellow nominees The 37th Annual EVVY Awards from Emerson College and SCADurday Night Live from Savannah College of Art and Design. Communication senior Alex Fecteau, a head writer of The Blackout, said the group was shocked when its name was called and that the result was “unexpected” — especially after seeing the work of the two other nominees. The College Television Awards are hosted by the Television Academy Foundation, established in 1959 as the charitable arm of the Television Academy. 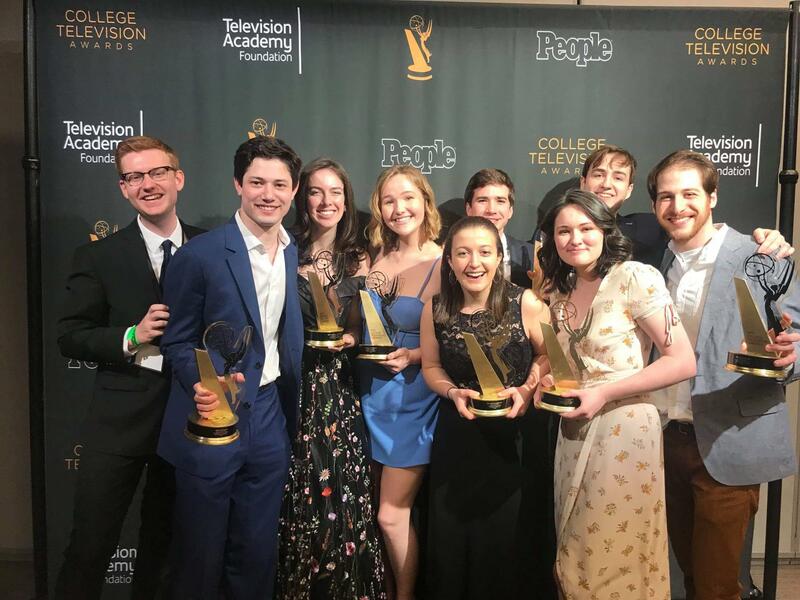 In addition to the Variety category, the College Television Awards also recognized student-produced work in drama, comedy, animation, nonfiction, promotional, news and sports. For winning its category, The Blackout received a cash prize of $3,000, which will be invested back into the group, said Communication senior Max Kliman, a producer of the show. Kliman said the award will hopefully draw more attention to The Blackout and make more students excited to get involved. He said he hopes the student-run late-night show will get “bigger and better” over time. But more than anything, Kliman said this recognition serves as validation for The Blackout, a group that started in 2015 and has since distinguished itself in NU’s comedy scene for welcoming anyone into its organization.